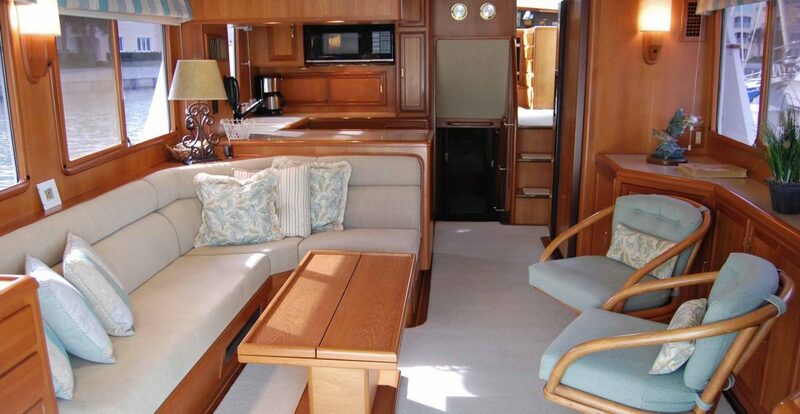 A very clean Fleming 55 with CAT 3208TA engines and 2 Onan generators. 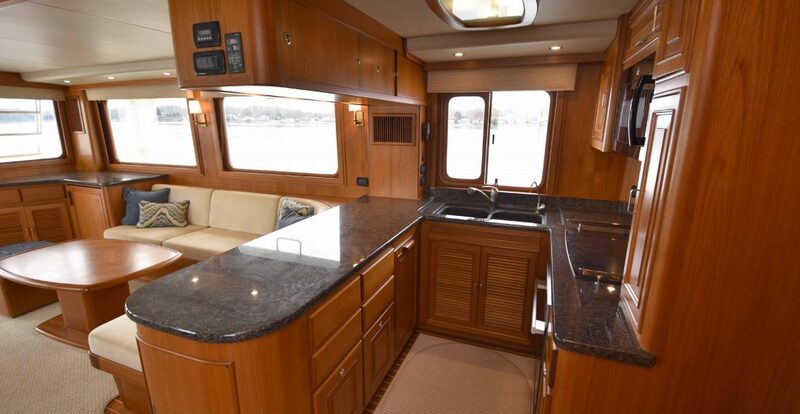 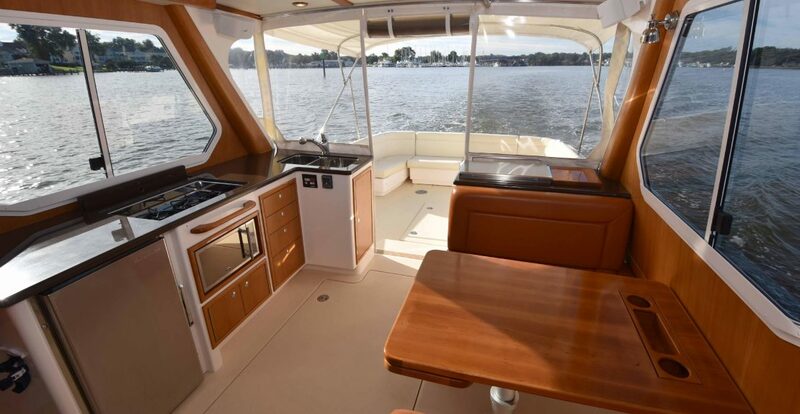 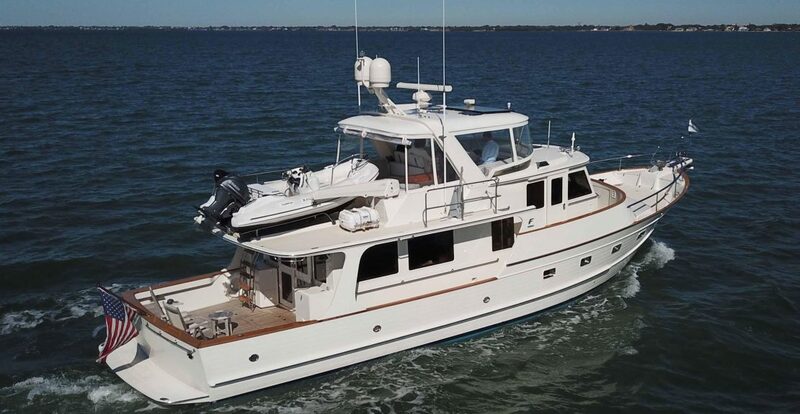 Features include: Furuno radar & electronics (2012), Naiad stabilizers, Aqua-drive anti-vibration drive systems, bow & stern thrusters, watermaker, and a bimini top with forward partial enclosure. 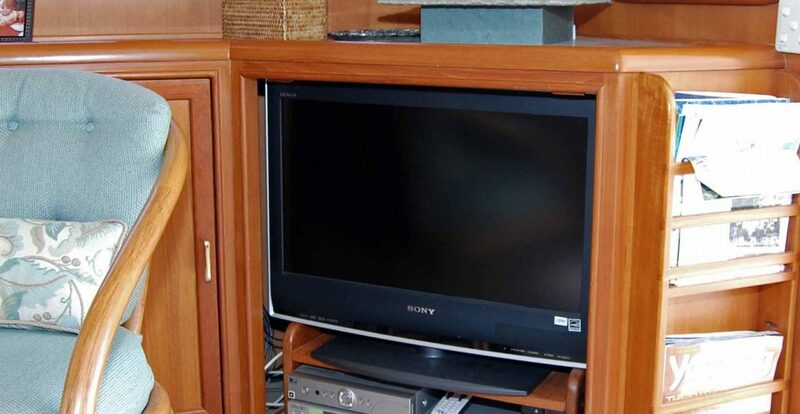 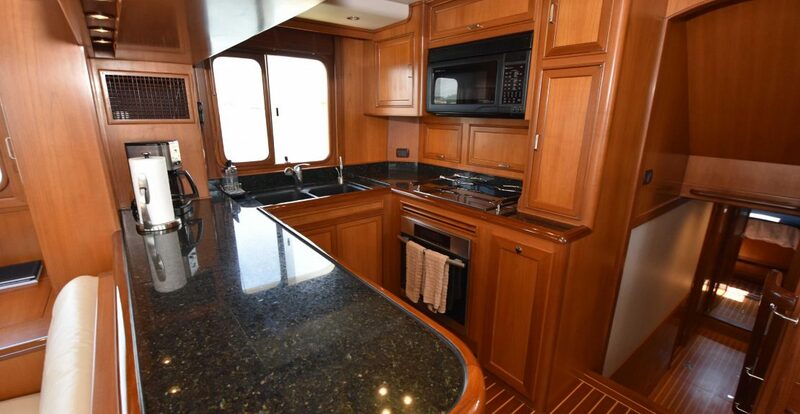 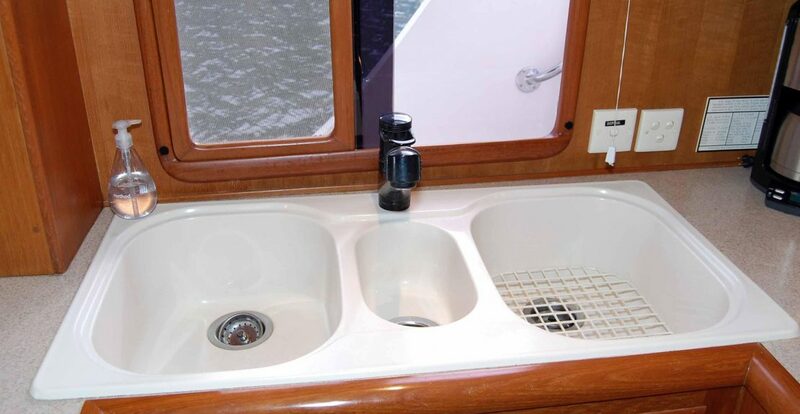 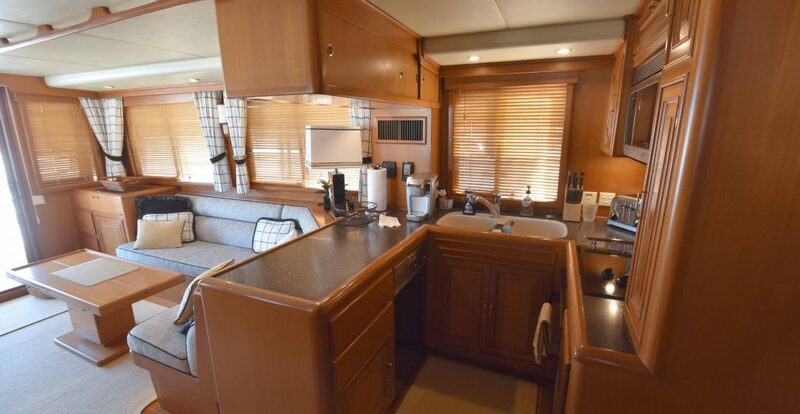 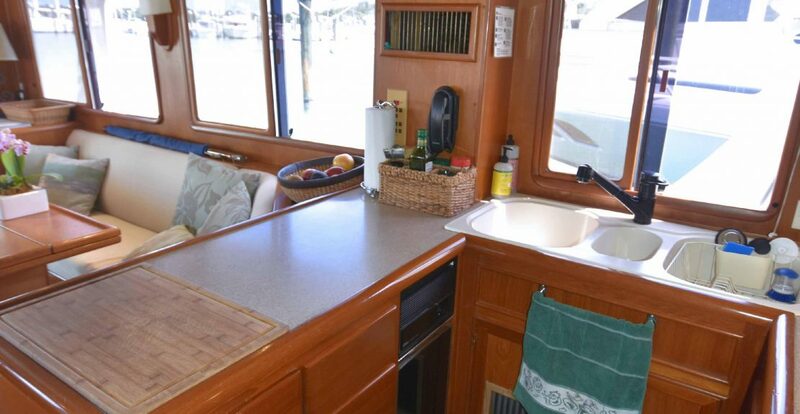 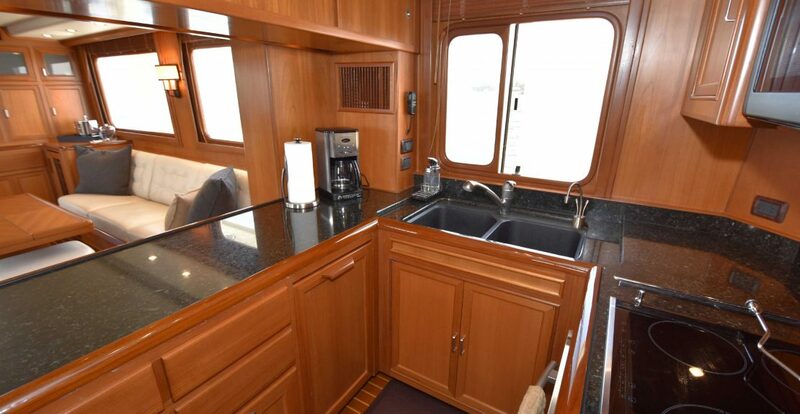 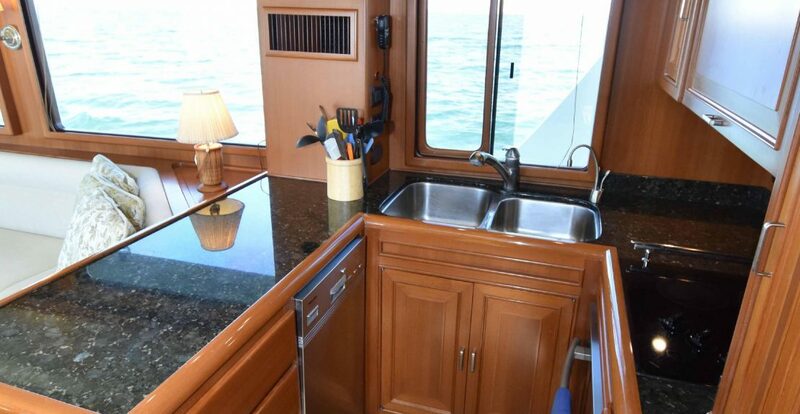 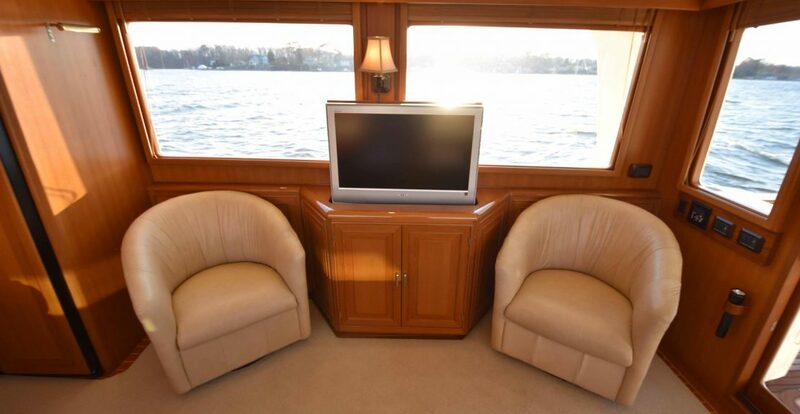 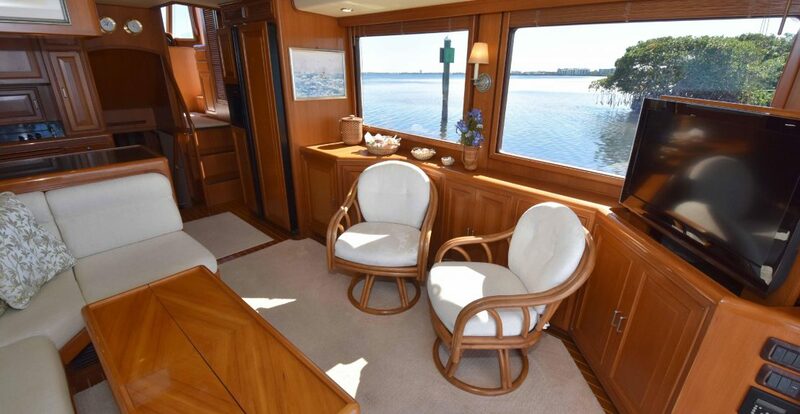 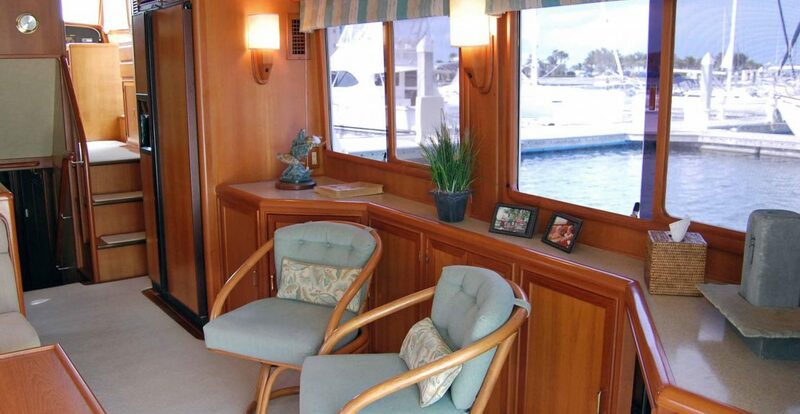 Interior accommodations include three stateroom with two heads: a starboard office arrangement with overhead bunk, a four-berth stateroom to port with twins with two overhead bunks, and a en-suite master stateroom with a island queen berth to forward. 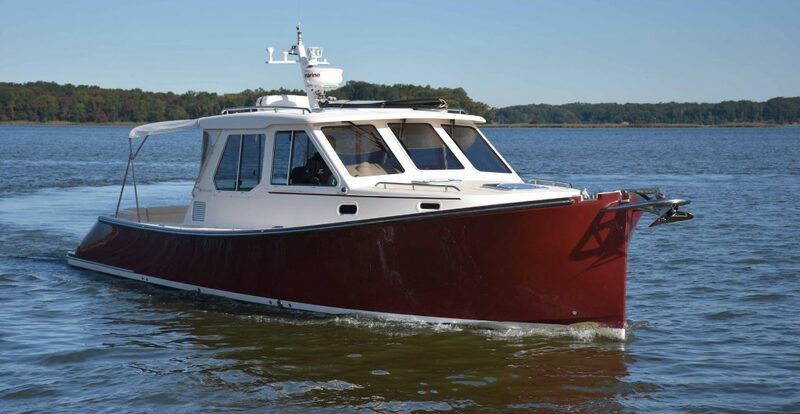 An excellent condition Fleming 65 equipped with twin MAN CRM-6 engines at 800 hp each. 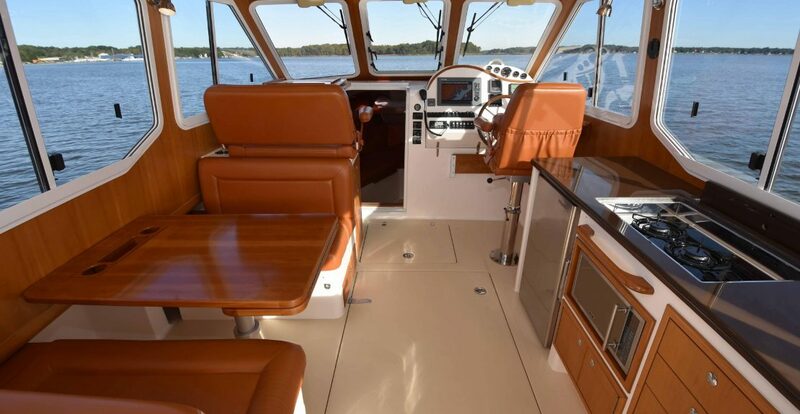 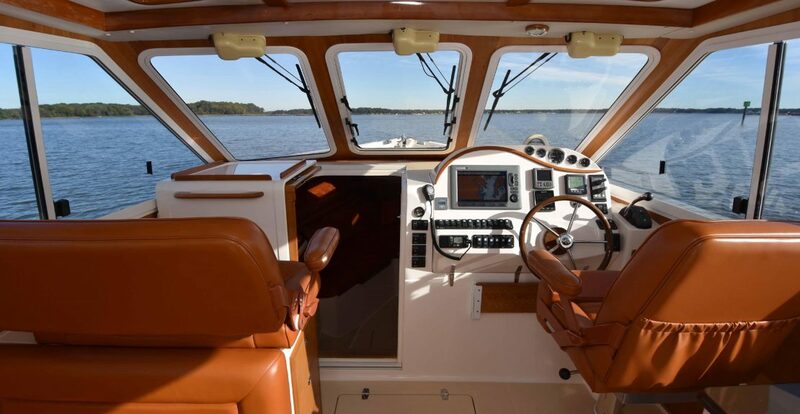 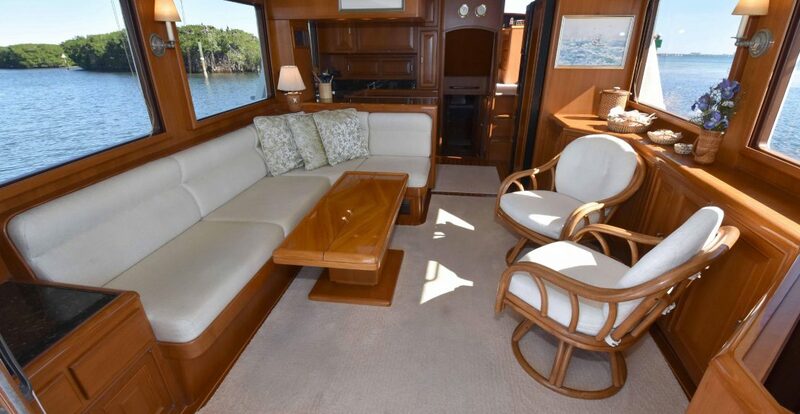 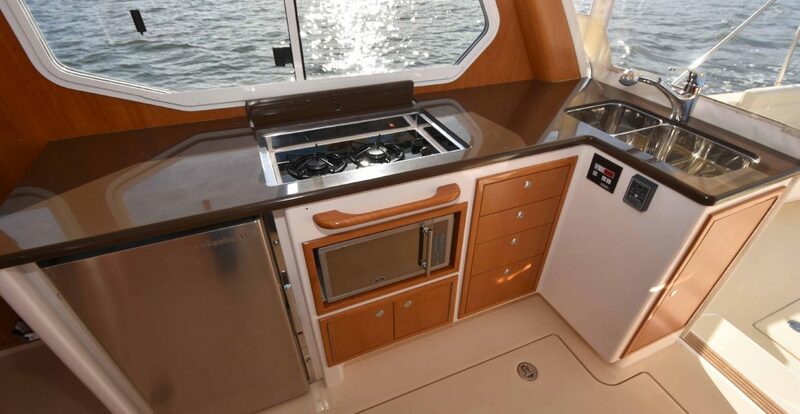 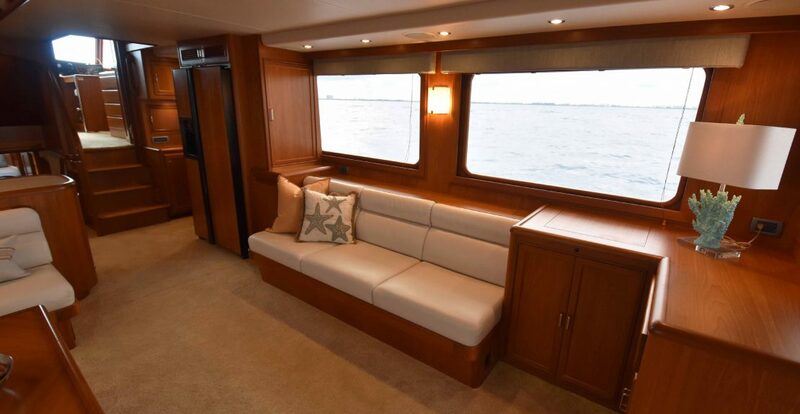 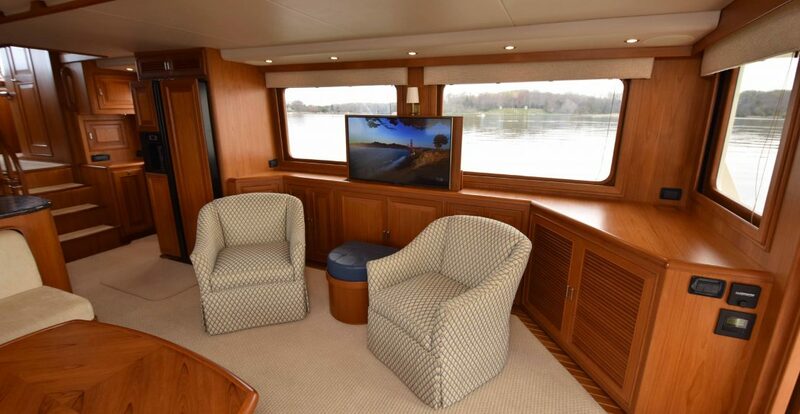 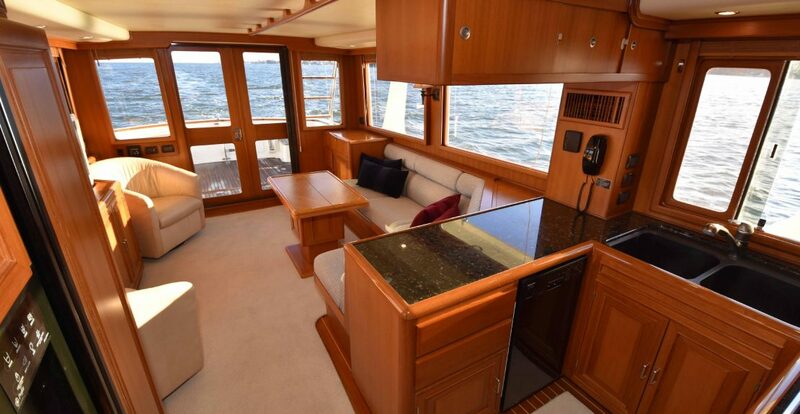 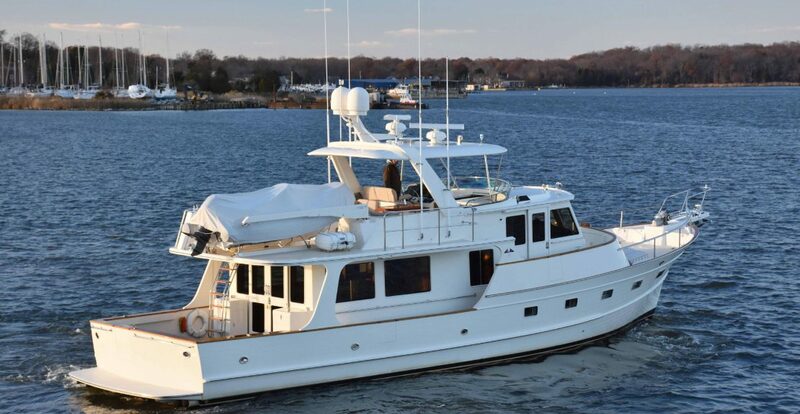 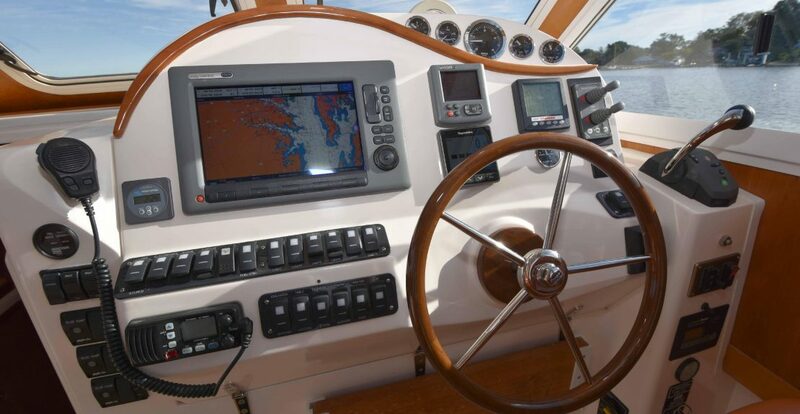 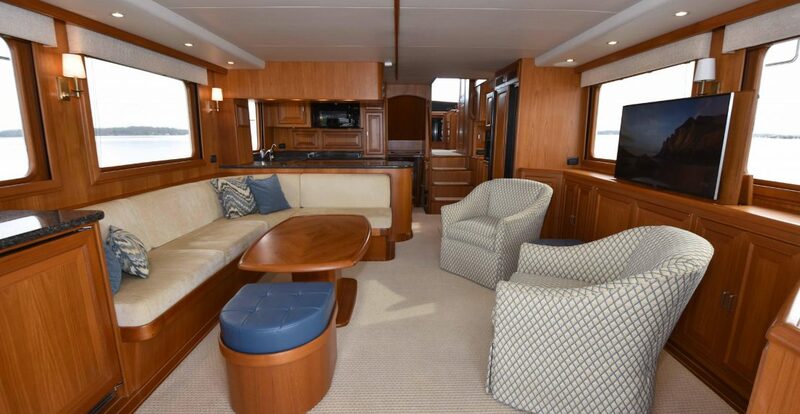 Features include: Furuno NavNet TZTouch electronics, ABT stabilizers & thrusters, Onan generators, Sea-torque shaft drive system, pilothouse day-head, and a fiberglass hardtop with forward partial enclosure. 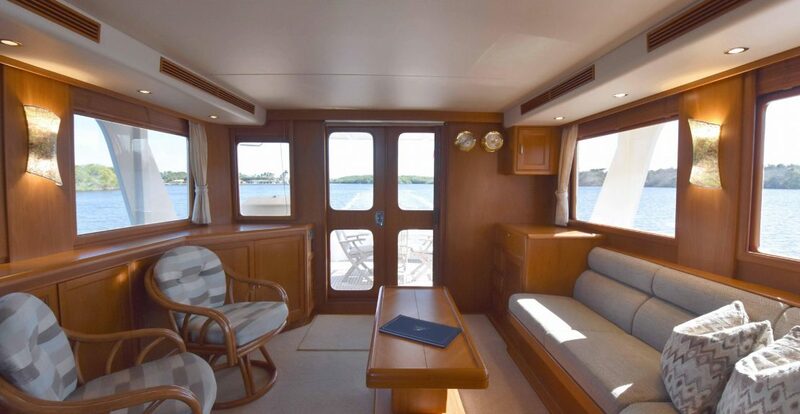 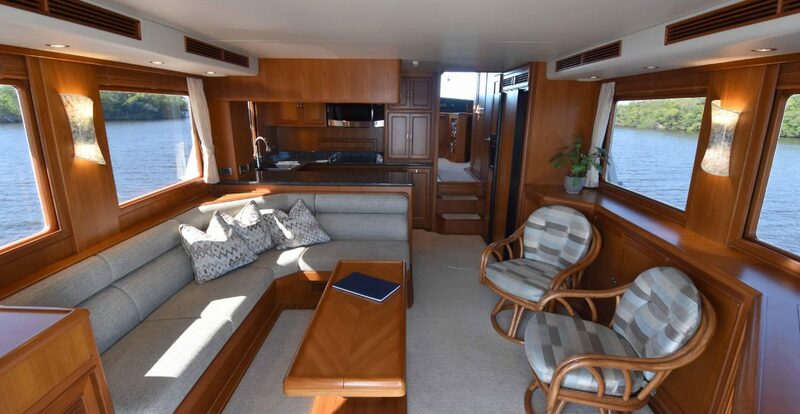 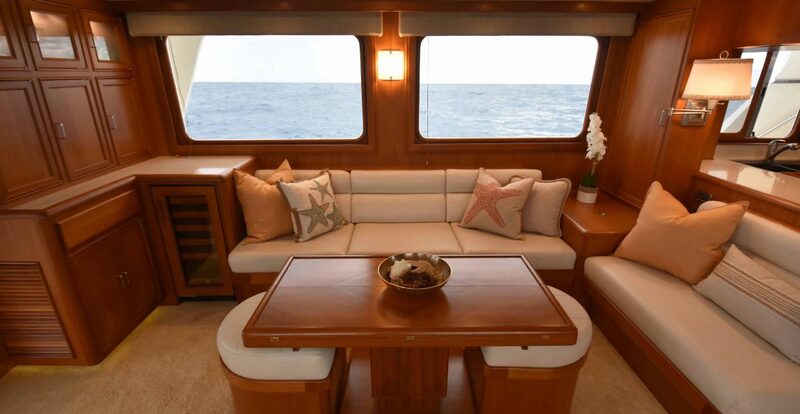 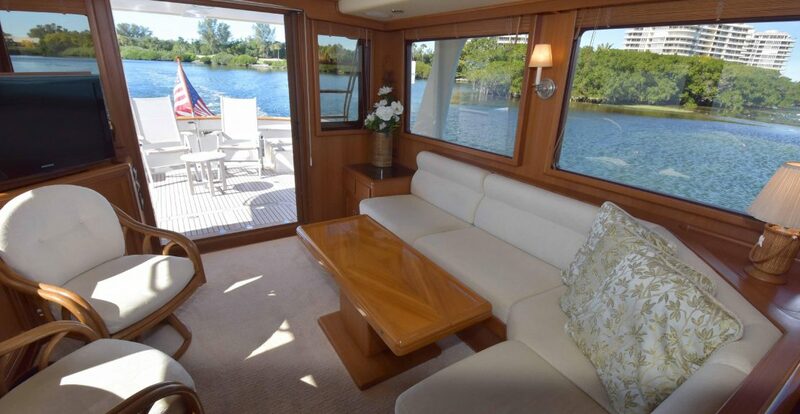 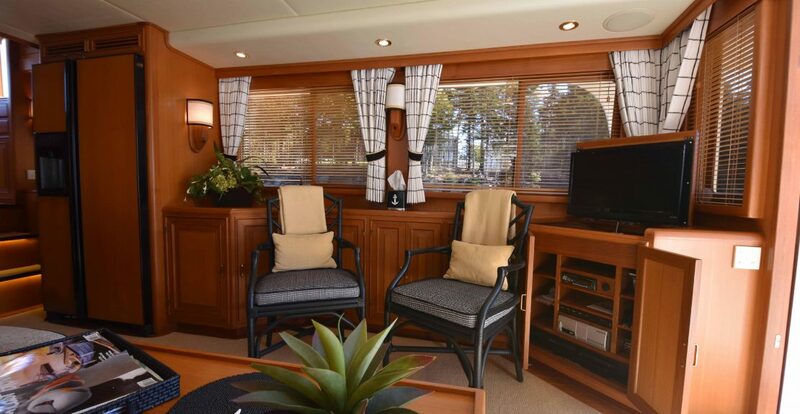 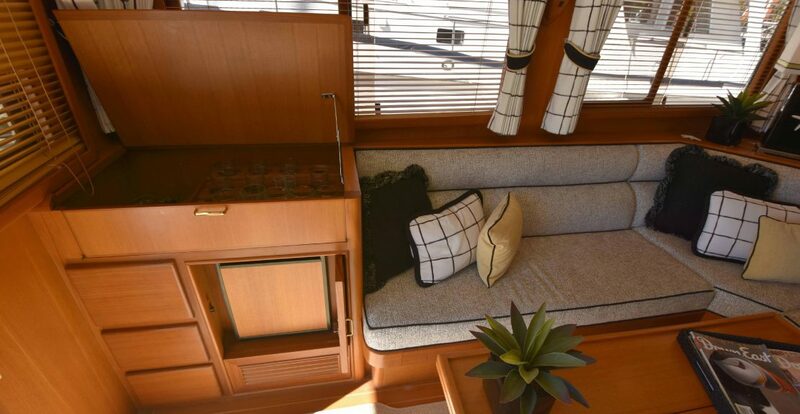 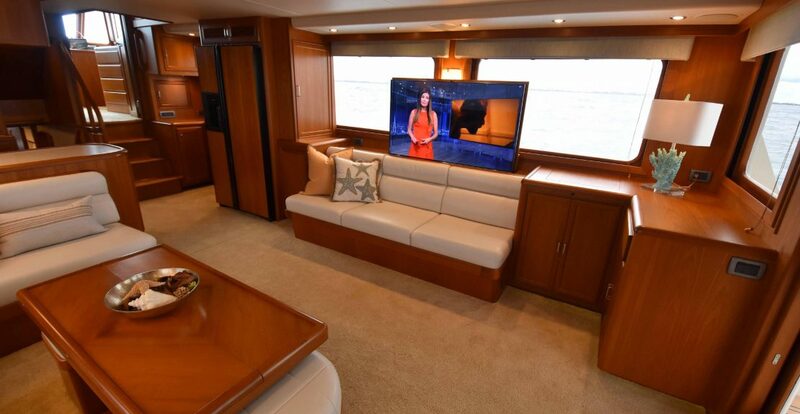 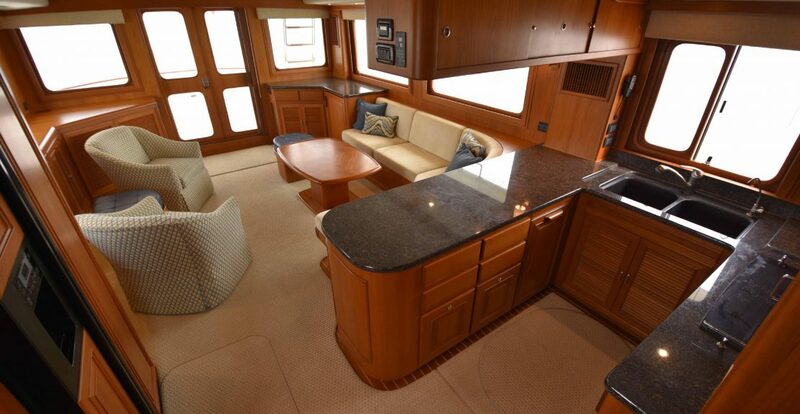 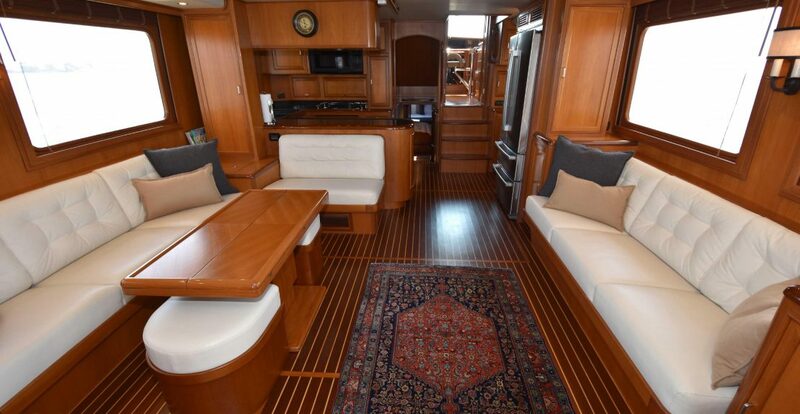 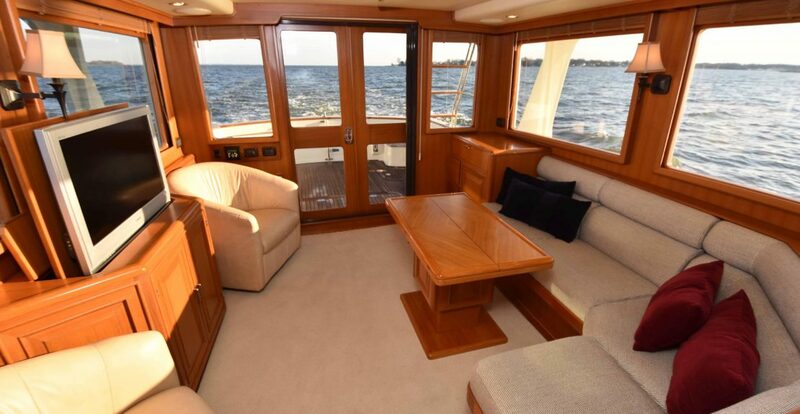 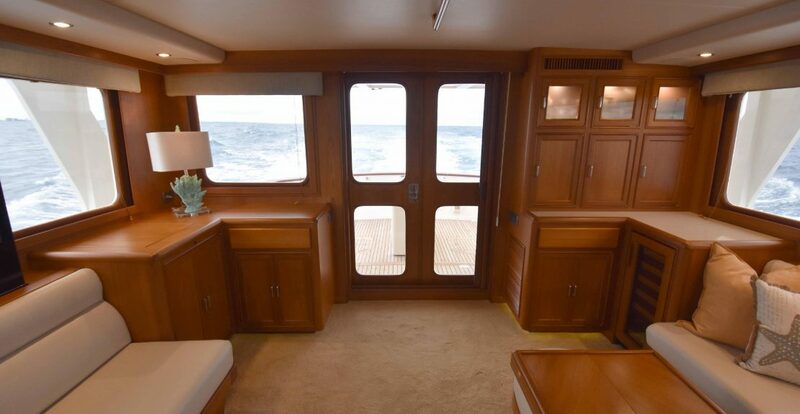 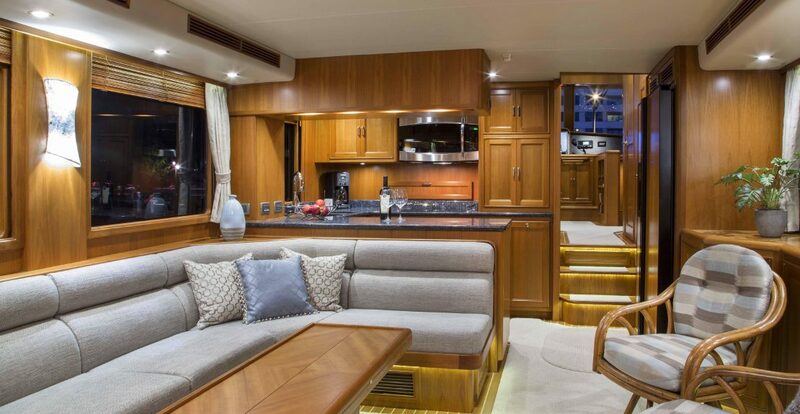 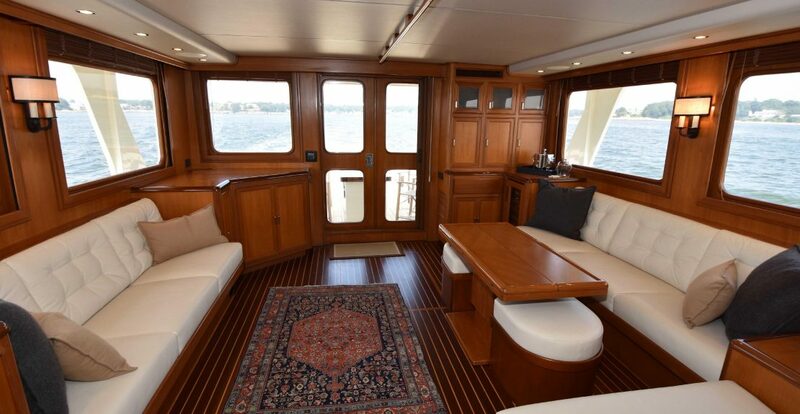 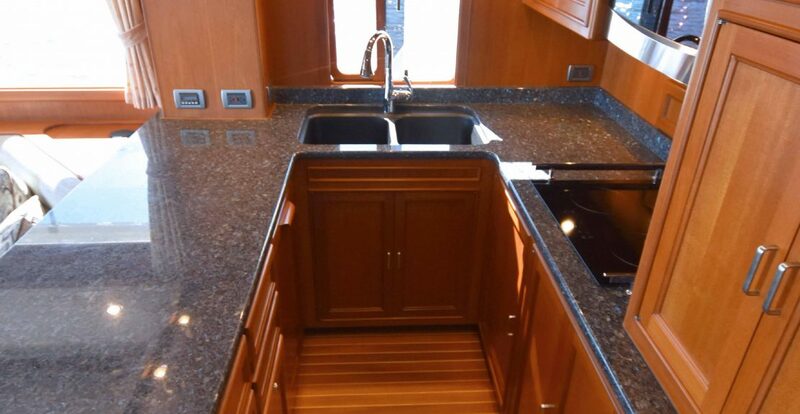 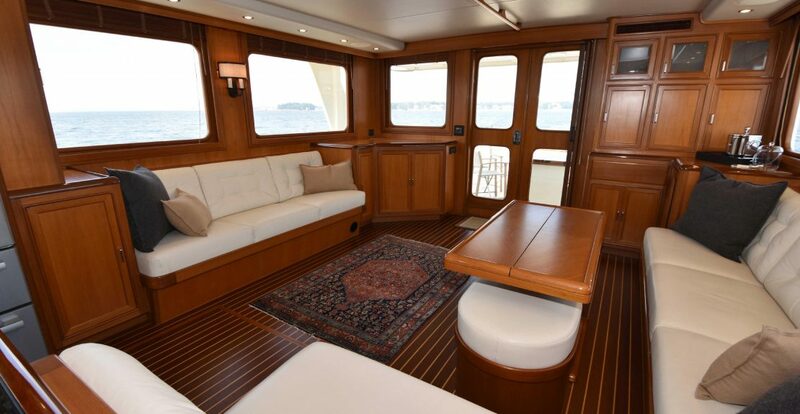 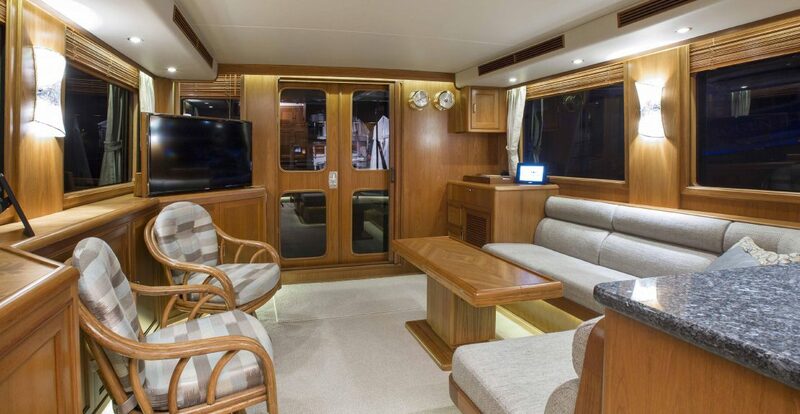 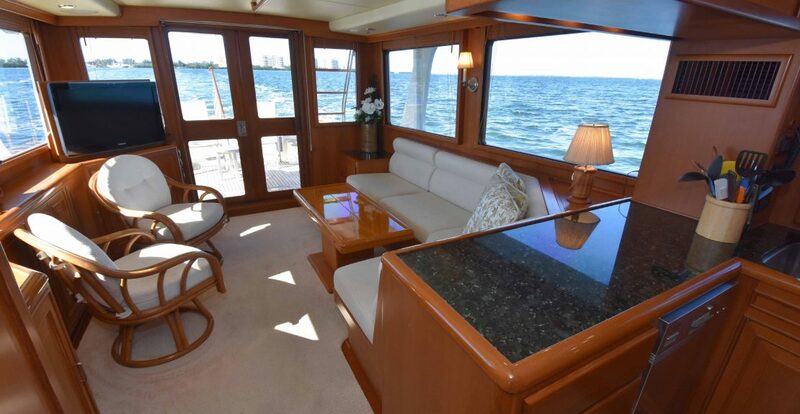 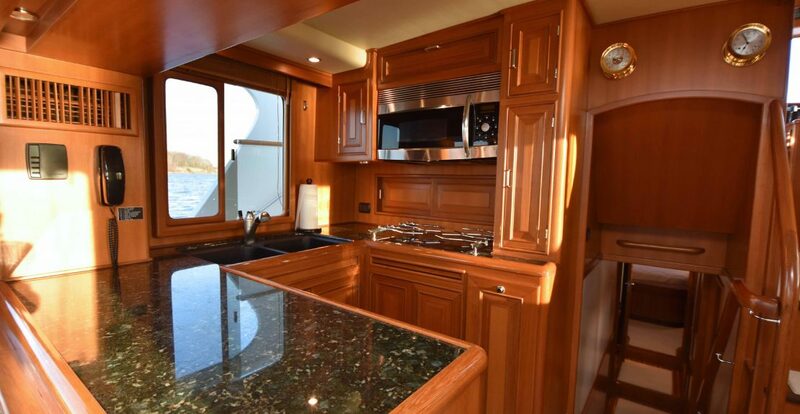 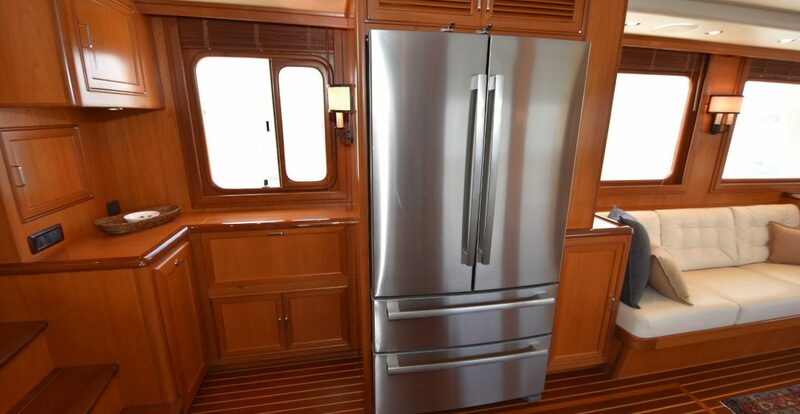 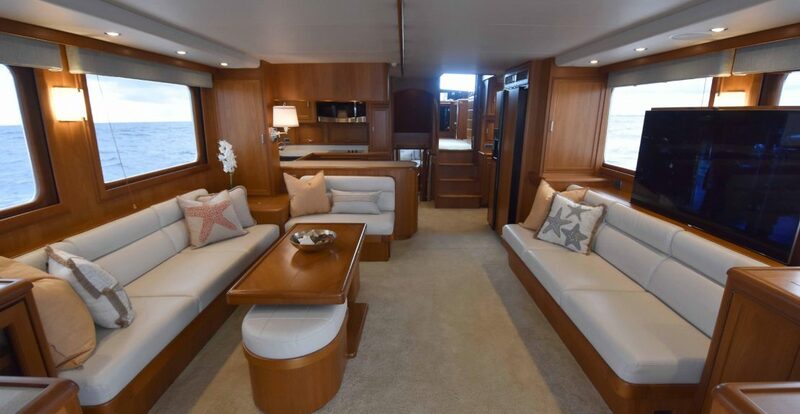 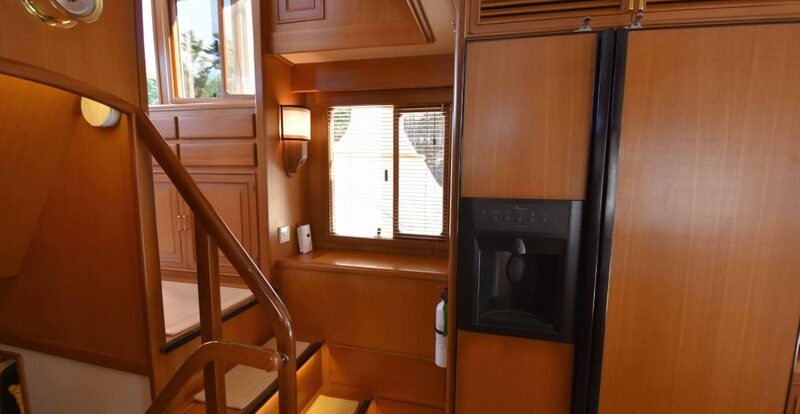 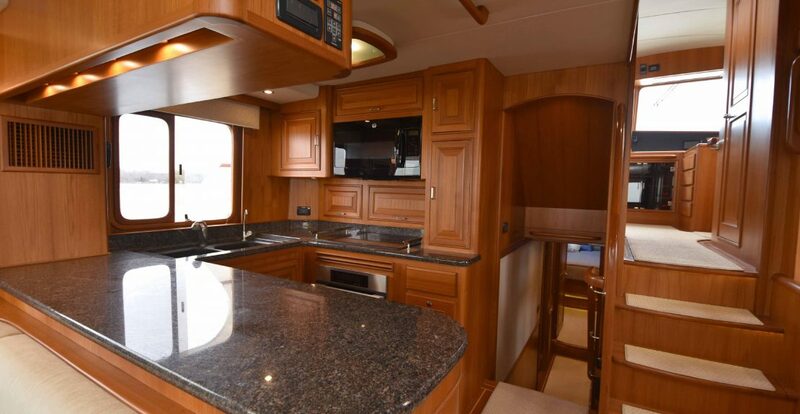 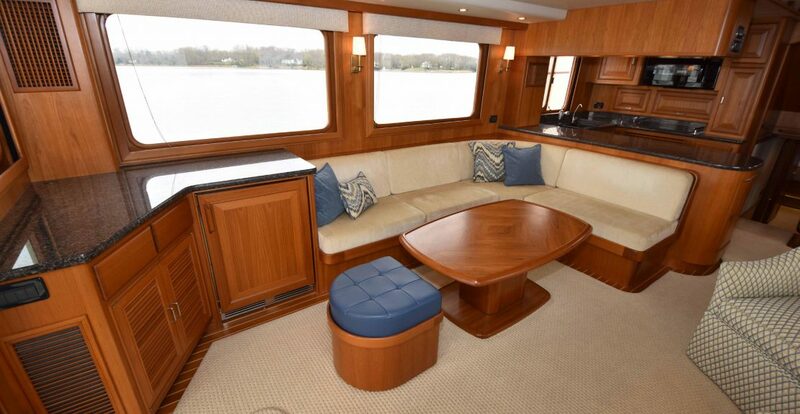 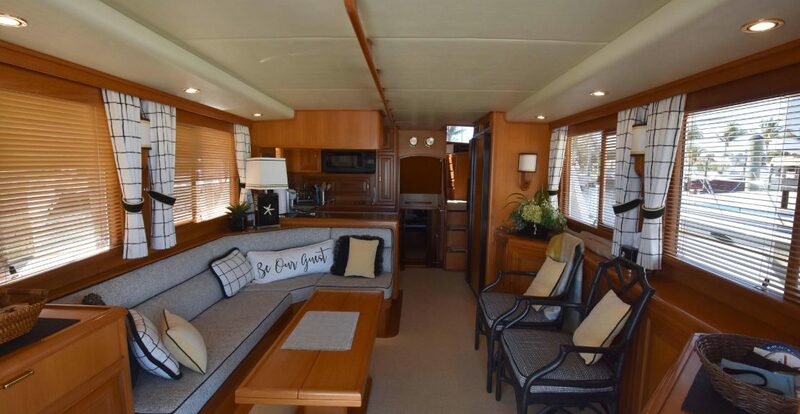 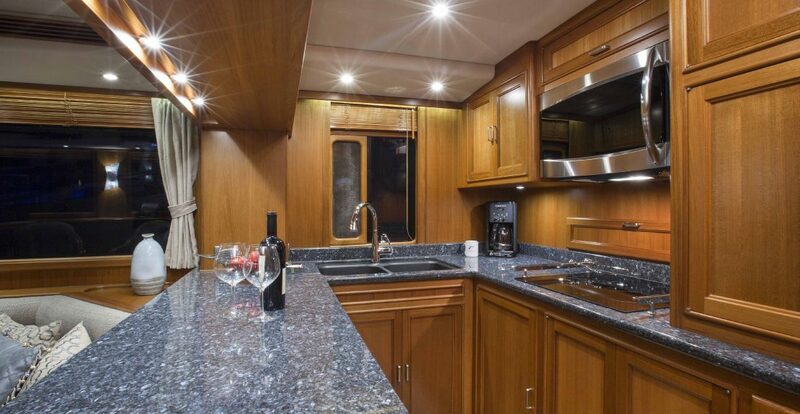 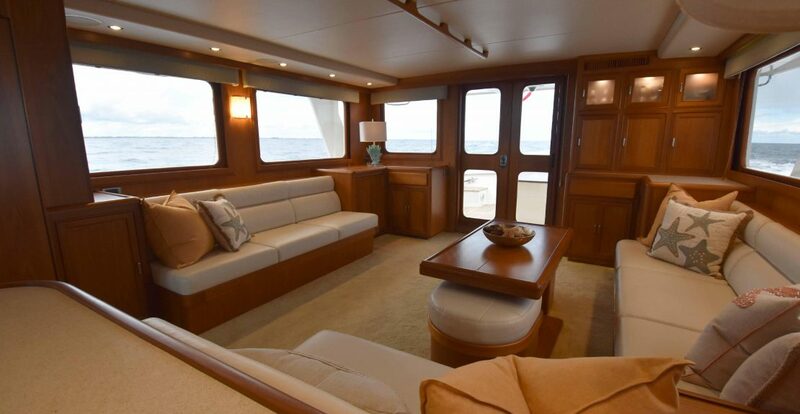 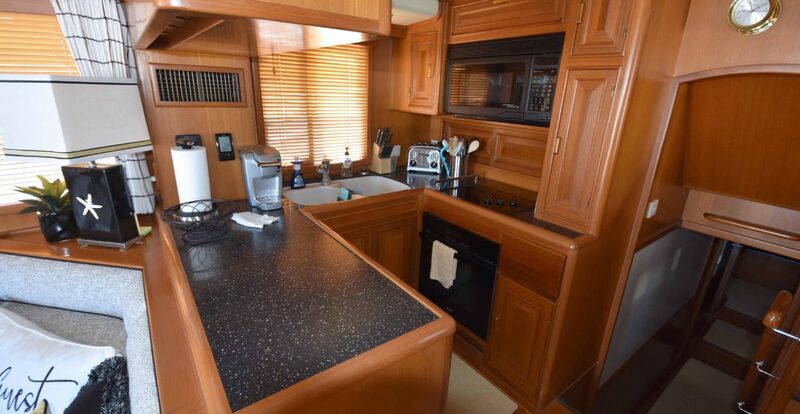 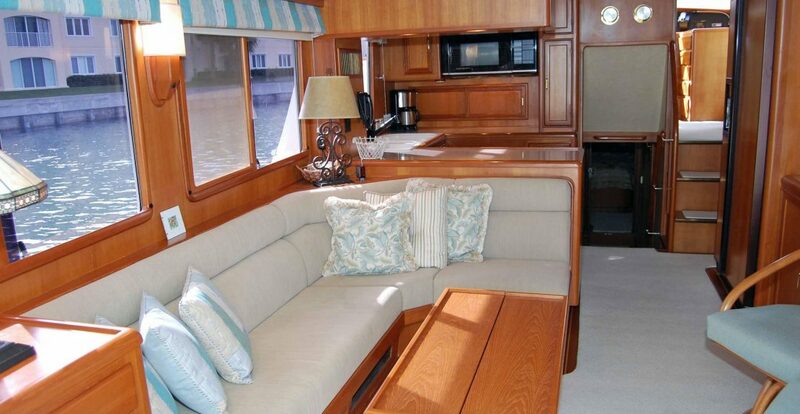 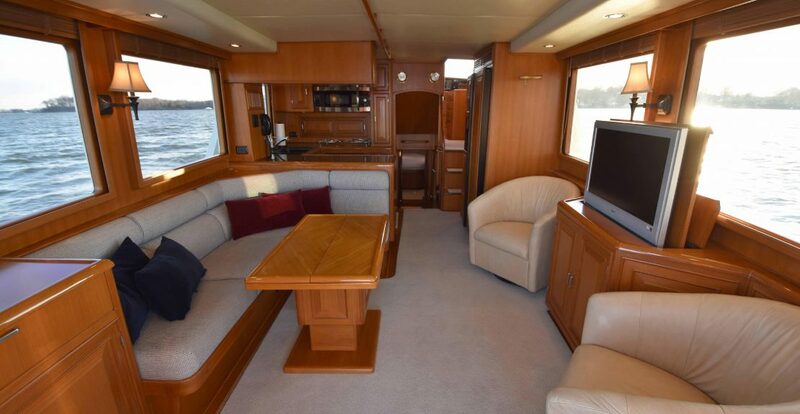 Interior accommodations include three heads & three staterooms: a bunk arrangement to starboard, twin berths with a roll out pipe berth to port, and a en-suite master stateroom with island queen berth to forward.